Good afternoon everyone, welcome to November. Can you believe there’s less than sixty days until the end of the year and just six more days until the election? I'm sure like you, that you're looking forward to it being over. Now I've read and also heard it said; "the best way to be noticed and collect Internet hits is to express outrage. The outrage business, it must be said, is a growth business, thriving in the age of new media." While there may be a place for “outrage” in some areas of the blogosphere [mainly political blogs and other websites] and on other social media platforms, namely Facebook and Twitter. As for me, I like this blog to stay focused on things that matter; like exploring new wine regions, uncorking countless bottles of wine and boldly seeking out new wines that have a soul. But as many of you have discovered that sometimes on the road to discovery you may run into a few bumps in the road. So speaking my mind is something I plan to do today, regarding the sample I received for the Chilean Wine Blogger 'live' tasting from Chile. When I encounter new wines where I simply don't get the style, I typically don't go too far out of my way to throw it under-the-bus just for the sake of "outrage". Something which some of my fellow bloggers may think I'm doing here today, regarding the San Pedro 1865 Single Vineyard Sauvignon Blanc. But even the folks over here tasting these wines with me, including Mrs. Cuvee without any coaching from me, agreed this wine was just a bit over-the-top. Most folks know, I'm kind of a fussy-pants when it comes to this varietal, simply said for the most part I really don't like it. Please don't tell anyone, but I like to keep a bottle inexpensive SB around just to rinse out my stems and or my decanter before pouring in another wine. It really is a great for grabbing any remnant lint from the freshly cleaned glass. What I especially don't like is some producer’s tendency to elevate this varietals aggressive-side and this often happens with New World producers. Now you may like the style I'm about to describe, but I promise I won't think any less of you, but I just may snicker a bit. That said, what I mean my aggressive is that this style is "all-up-in-your-business" from the moment you pop the cork, to the first sniff, slurp and the eventual spew. 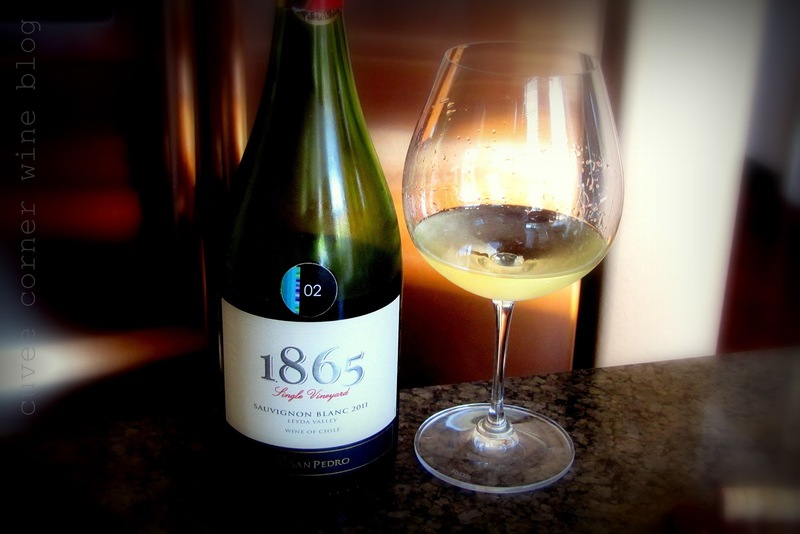 There is just no delicate way to put it, in my book the 1865 SB is everything that is wrong with new world Sauvignon Blanc. This wine [under screwcap] gave me a sock-in-the-jaw, ouch! Ugh, I was begging for mercy in just minutes after being hit by a broadside of pungent grassy aromas and picked-to-early aromas like an upper-cut from a south-paw. Whoa, green bell-pepper, grape-fruit, intense vegetal flavors, boat loads of acid and a intense, yet odd can-of-asparagus thing going on from start to finish. I even tried this wine with a couple different food pairings, but it was just too over-whelming. It's not that the wine was not made incorrectly or that it had any detectable flaws. This wine sell for a SRP of $19, I scored it 84 points, not a recommended wine in my book. Until next time folks remember to sip long and prosper cheers! Love it. You conveyed your relationship with wine and even your experiences in life so powerfully over a long time. Wishing you all the best!